We use several advertising networks here at LuvMyRecipe.com to support the hosting and general maintenance of the website. We are not a charity. We are not a non profit organization. It costs money to have… and keep a website running. To create a revenue support network for the website and related costs, we use Google and other advertising affiliate networks to provide advertising content for us. These networks utilize various cookies to provide content relevant to you. When you are visiting LuvMyRecipe.com, you are subject to these cookies from these advertising networks. For example, if Google wants to display advertising to you… it would help Google to know whether that advertising is going to be relevant to you. Allowing cookies when you visit us and turn off any “pop-up blocker” or “ad-blocker” software you may have running in your browser. This stuff may already be off if you have never set it either way. If you’re seeing ads here at LuvMyRecipe then there is a good chance you either don’t have any blocker software running, or your browser is already allowing some content advertising. Turning off an “ad-blocker” or “pop-up blocker” allows you to see our advertising that is being displayed through those avenues. Thank You. Adding LuvMyRecipe.com to your web browser’s “exemption” or “white” list for pop-ups. This will exempt our website from your pop-up/ad-block rule(s) but still leave the rule(s) in place for other websites. 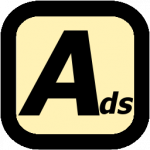 Our sponsors and advertisers have offers that may be made available through advertising tools like “pop ups”, “click-walls” and display ads. Adding us to your browser’s “white” list will ensure you see the offers available from these sponsors. At the time of this posting there are no pop-ups or click-walls on this site or plans to bring them. Visitors shouldn’t be getting pop-ups or click-walls. However; we do recognize that advertising is sometimes displayed in such a fashion and we don’t want to be limited in how we recover revenue for our site. The site is still growing and there may be a day when some content requires a click-through ad. For example, we’re currently already running Google ads. There is software that you can get to block ads in your browser. This browser software recognizes the advertising on the web page and removes it so it’s not displayed to you. By using such software, you remove our revenue stream… and we continue to give you free informative posts, advice, and shared recipes. I guess you win? That being said, we don’t have any control of the advertising Google decides to show you. Google advertising is derived from their metadata and we do not have access to any of that. We do have sponsors that have sought us out and would like to display advertising here. This kind of advertising may come in several forms (including but not limited to… display ads). If you’re disabling these in your web browser then you are further removing more of our revenue stream we have tried to set-up. We have taken great care to make sure that our visitors are not inundated with ads when they visit us. We, as much as anyone, hate going to a website… can’t find what you’re looking for… but you’ve hit plenty of ads, ad-walls, and newsletter requests. People come to LuvMyRecipe to be informed, to learn, and to share some recipes. While we believe our visitors expect a certain amount of advertising, it’s not the reason they came here. You will see this attitude with regards to our advertising throughout our site and will be represented in our ad placement and format.